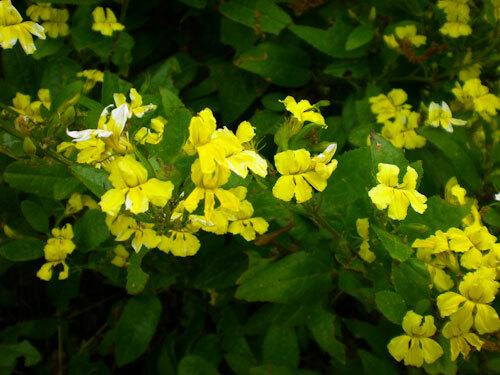 Diversity recognises that there are physical differences between plants. These differences add diversity to plantations and these differences support a more varied mix of insects, birds and mammals that are critical to plantations becoming sustainable and resilient for centuries. Each of these plant families is uniquely different. 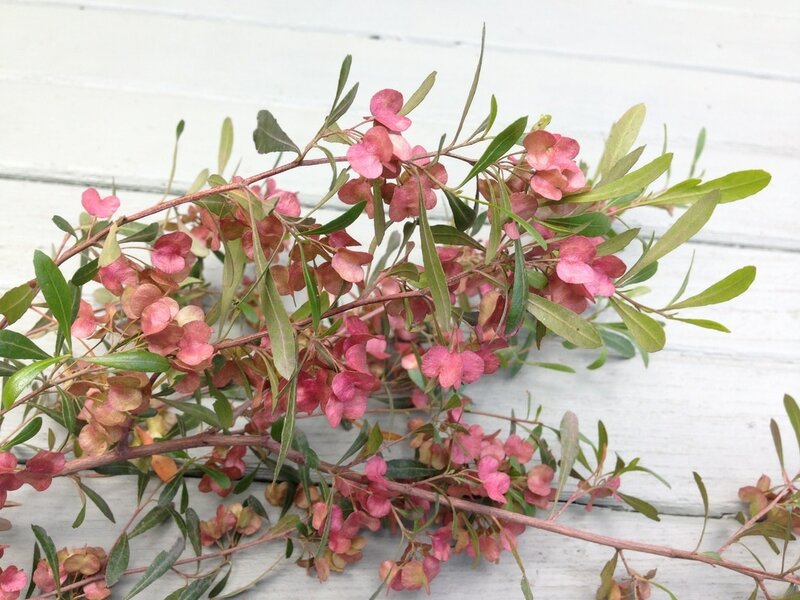 They have different flowers and flowering times; different edible parts like fruit/nuts and leaves; grow into different sizes and shapes; have different life spans and prefer different growing environments. They give new plantations the sort of diversity that we find in nature. 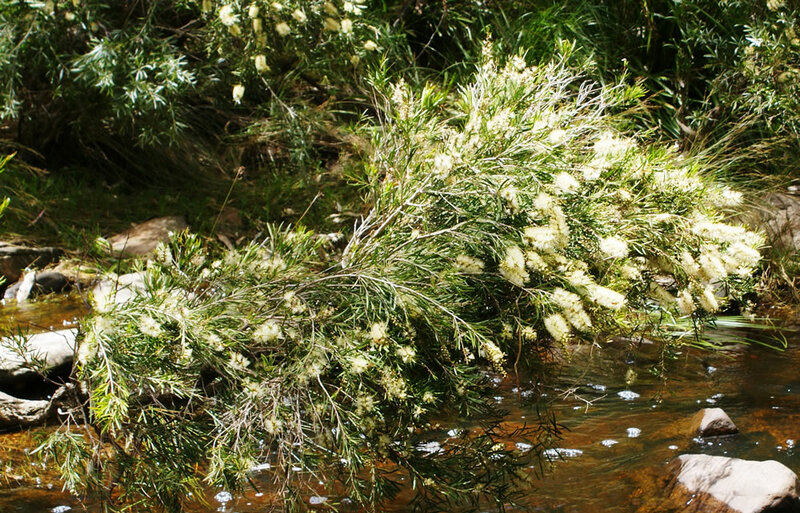 In the twenty bushland reserves that I have surveyed I found found 7 or more different families of woody plants (the trees and shrubs). If you add grasses, lilies and native herbs, it adds up to many more plant families. 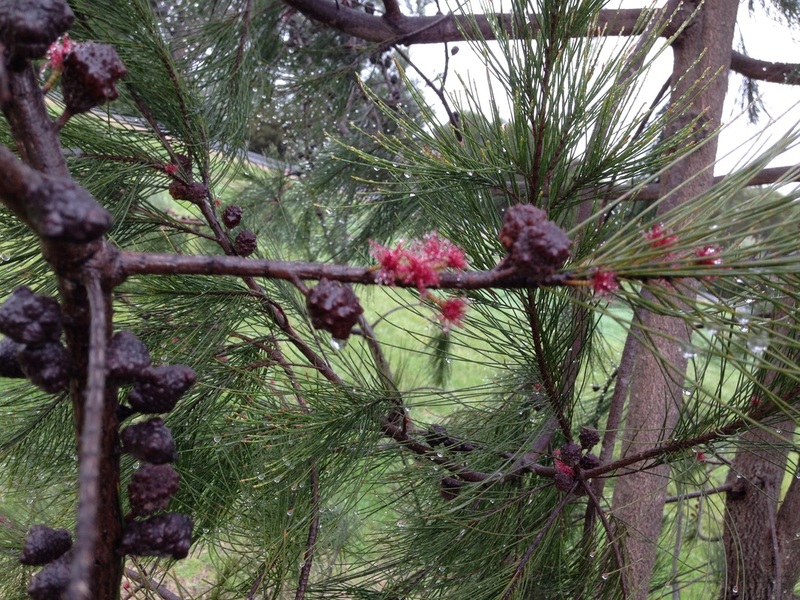 The winter flowering Melbourne Yellow Gum, Eucalyptus leucoxylon ssp connata is a member of the Myrtle Family. The approximate number of plants needed to fill a given area, if planted at 3 meter spacings = 10% of the area in square meters. For example one hectare which is 10,000 square meters if planted at 3m spacing would therefore need 10% x 10,000 = 1,000 plants. For this same area planted at an average of 4 m spacing between plants the calculation is 6.25% x 10,000 = 625 plants. The obligatory eucalypts. Planting 20 different species of eucalypt doesn't provide the level of diversity that wildlife need to live and thrive in a plantation because eucalypts all come from the Myrtle family. 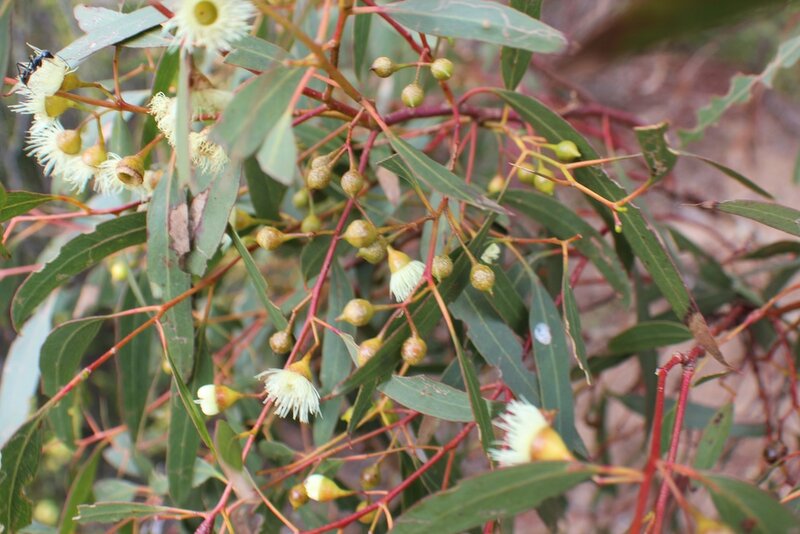 But eucalypts are an important source of an extraordinary variety of foods for wildlife and are therefore considered a critical feature of sustainable biorich design in southern and arid Australia. The tall mature eucalypts that we see as we drive into the country are like multi-story apartment buildings with a supermarket and hardware store attached. They provide accommodation as hollows and nesting sites, food in the form of nectar, pollen, seed, leaves and sap as well as the thousands of insects that live on them, and building materials like bark, leaves, twigs, and spider webs to tie all these materials together. 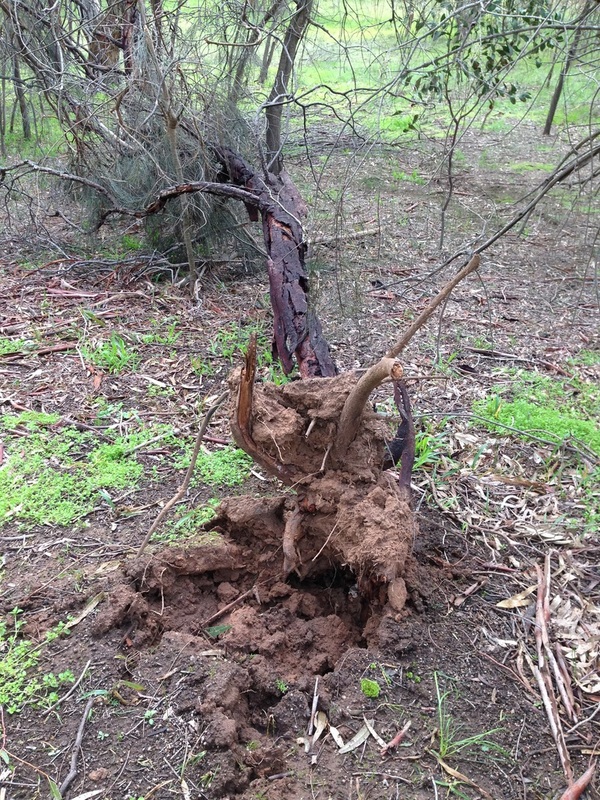 You could read The Sentinals for more insights into the importance of old eucalypt trees in our rural landscapes. 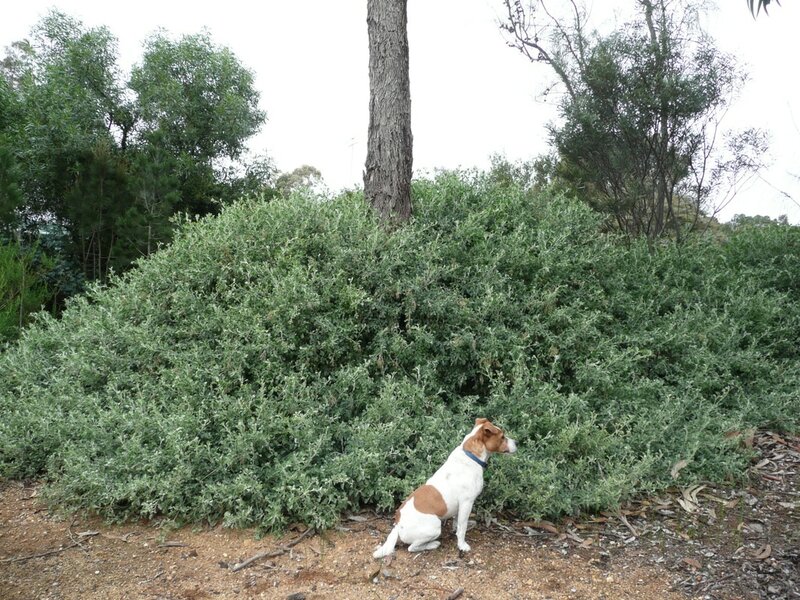 ​Its common for 2 or 3 eucalyptus species to be present in each of the different Ecological Vegetation Classes found in woodlands and forests. Sustainable design aims to replicate this observation by including 2 or 3 indigenous species of eucalyptus in the planting list. 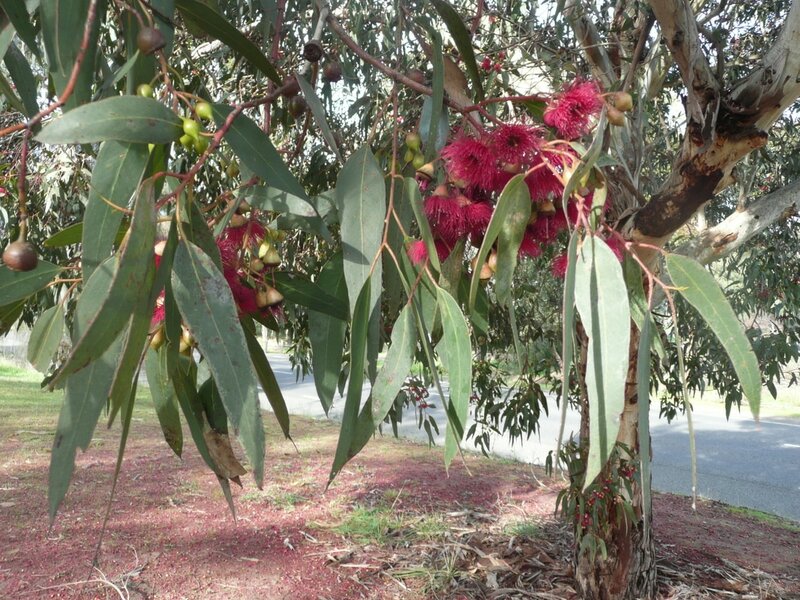 The eucalypts indigenous to your area may produce a valuable timber for the farm, building industry or cabinetry. You could form prune the straightest of these with the intention of harvest in 15 - 30 years. See Managing sustainable biorich landscapes for more information about thinning and pruning for profit. 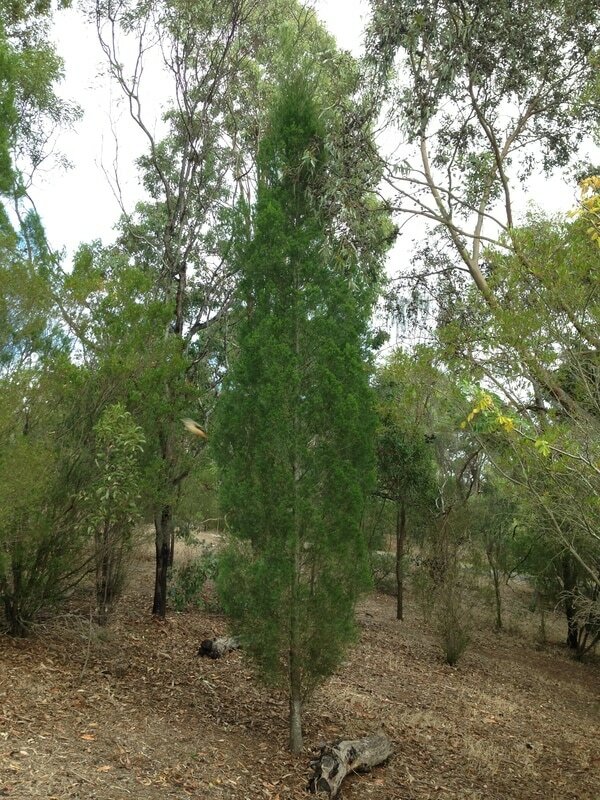 Profit can be added to your biorich plantation by planting a species of eucalypt that's not indigenous. 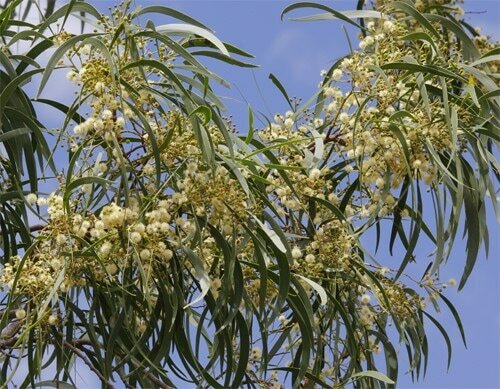 For example, Spotted Gum, Corymbia maculata for construction timber; Ironbark, Eucalyptus sideroxylon or E. tricarpa for hard durable timber, Yellow Box, E. melliodora for boutique high quality honey production or Blue Mallee, E. polybractea for eucalyptus oil production. 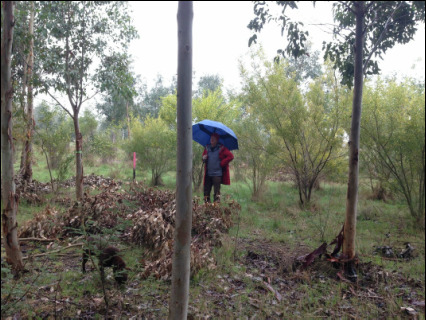 Trees planted for a specific purpose like these are mass planted in groups of 10 to 100 (depending on the size of the revegetation site) for ease of access, pruning and harvesting. Designing for profit will give you more information about how this is done. 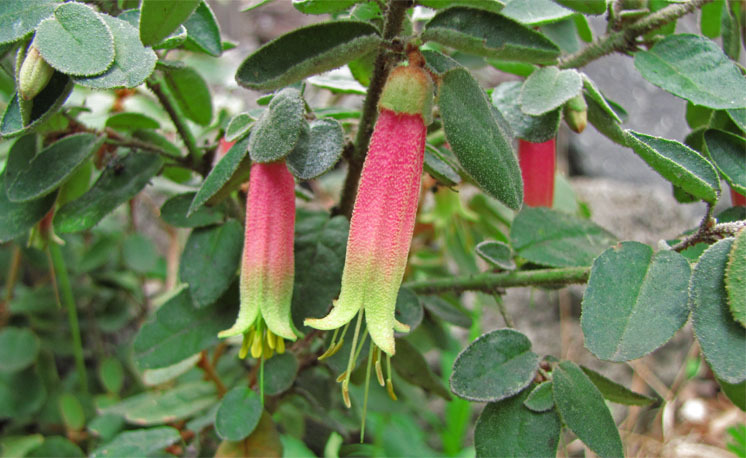 The benefits of short lived plants? 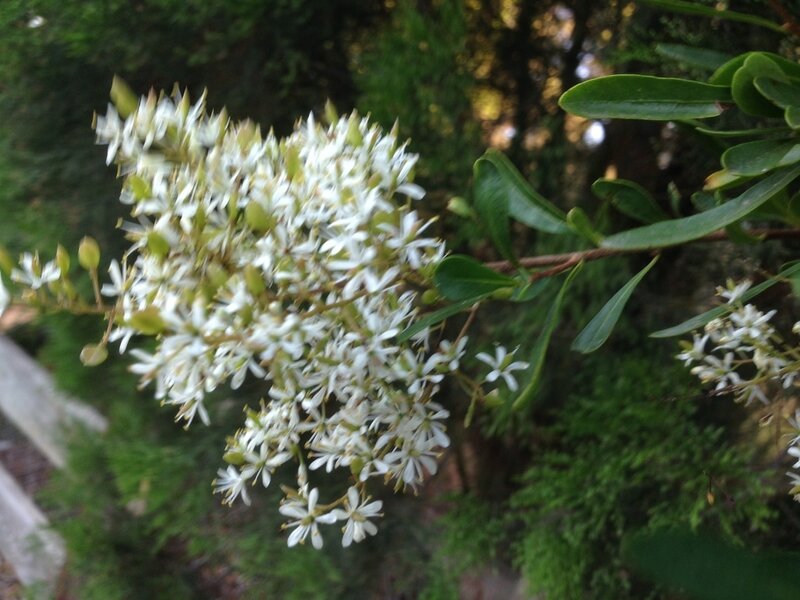 ​The Australian floral emblem gives us an insight into the importance of short lived wattles. The beautiful Golden Wattle, A. pycnantha with its glossy-green oval leaves and golden pompom flowers lives for 7 - 15 years. Aside from looking stunning when it flowers, it provides early habitat and shelter because of its fast growth, its a important source of food as pollen and sap for various insects and small mammals, it adds nitrogen to the soil for other plants to use and it gives reptiles and small ground mammals a place to hide from predators when its short life ends and the wattle topples over. 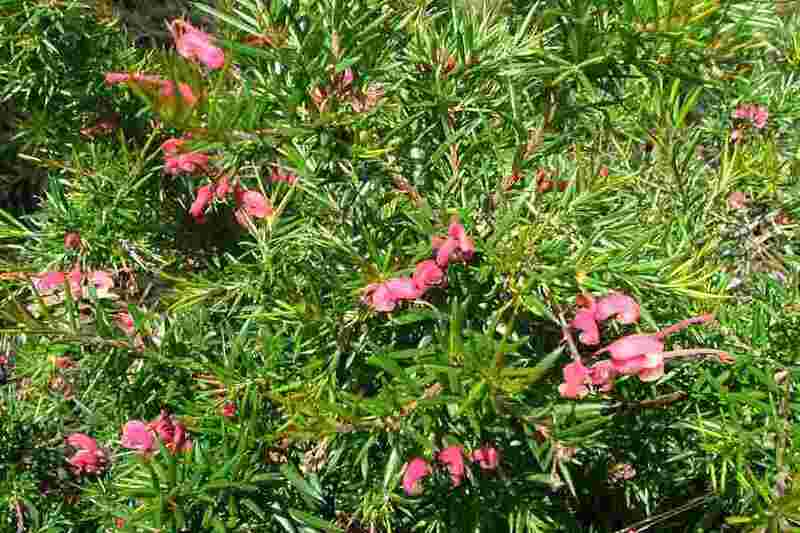 Its important to note that short lived plants are not suitable for narrow plantations (less than 20 meters wide). This is because the the gap created when they die after 10 years is less likely to be filled by the surviving plants because of competition for soil moisture and light, putting the remaining trees and shrubs under significantly more wind stress and leading to more wind damage withing the plantation. This ripple effect of wind damage with trees and shrubs breaking down is likely to continue and cause the plantation to ultimately fail. However a group of plants falling over in a sustainable biorich plantation (50 m wide) will promote natural regeneration by disturbing the soil and letting in a lot more sunlight. New plants will appear where a tree has fallen and fill the space within a few years. 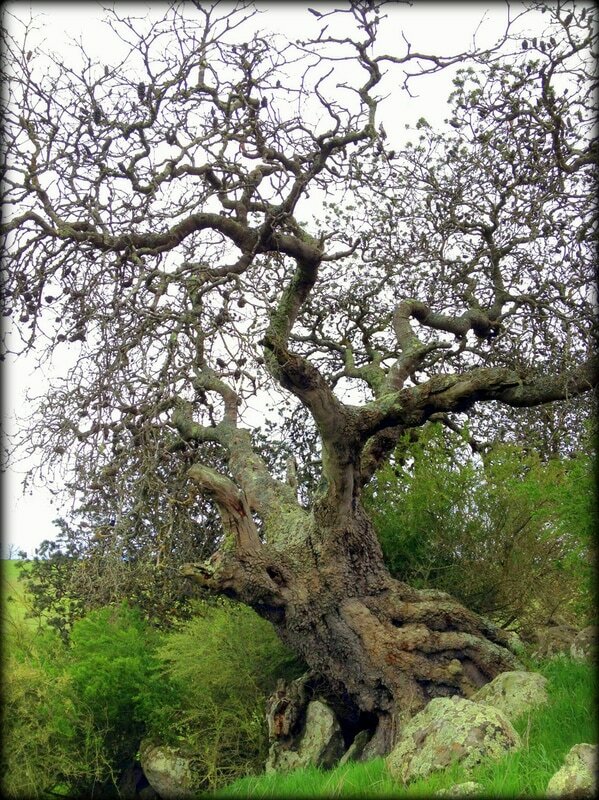 The dynamics of the ecology is enriched and stimulated within a decade by the simple event of a small tree completing its life-cycle. 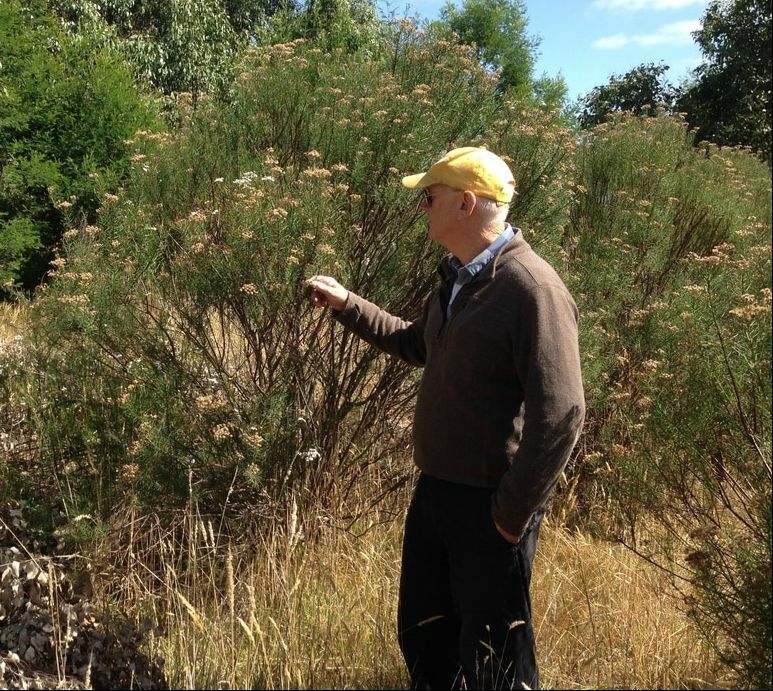 For more reading on acacias delve into ﻿Acacias ﻿for descriptions of local wattles and in a broader more entertaining style discussing their uses Acacias - the cafes of the bush describes their ecology and uses in more detail - you'll be amazed. Its common for at least 4 acacia species to be present in each of the different ecological vegetation classes found in woodlands and forests. Sustainable biorich landscape design mimics this pattern on planting lists.